Ubisoft and Blue Byte's upcoming city building real-time strategy video game, Anno 1800, is only a fortnight away from its release on the PC. If you are raring to play this newest Anno RTS release, there are a couple of news nuggets that you might be interested in. 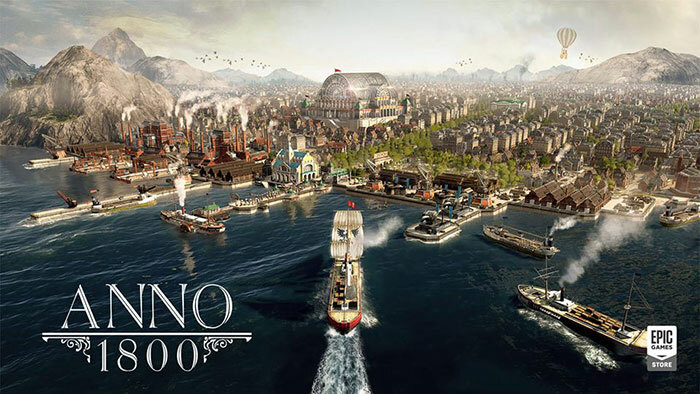 First of all, Ubisoft has listed the minimum and recommended PC system requirements for the game, and secondly Anno 1800 is set to be removed from Steam at launch and be available from either the Epic Games or Ubisoft Stores only. These PC system requirements are not surprising to behold, with a minimum quad-core CPU recommended. Below you can see the official recommendations for both 1080p low at 60fps, and 1080p high at 60fps. Sadly, there are no 1440p or 4K recommendations provided. Several languages are supported with audio available in English, French, German, or Russian. Text is available in even more languages; English, French, Italian, German, Spanish (ES), Polish, Russian, Simplified Chinese, or Japanese. At release the game will feature Denuvo and VM protect anti-piracy/tampering technologies. 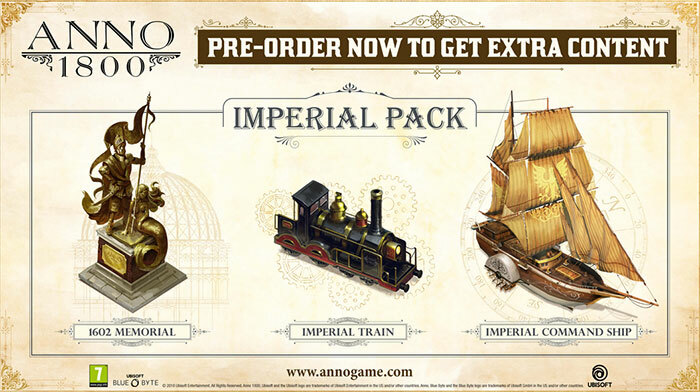 Currently you can pre-order Anno 1800 on Steam. However, after the launch date of 16th April it will not be listed on Steam anymore, but only be available digitally for PCs via the Epic Games Store or Ubisoft Store. An announcement from Ubisoft adds that "Pre-orders on Steam can be made until the release of the game. Everyone who pre-ordered Anno 1800 on Steam will be able to play the game upon release and will automatically get all future updates and content." If you are interested in the open Beta, which runs from 12-14th April, you will also have to grab Anno 1800 via Epic Games or Uplay. The finished game will be available in Standard and Deluxe Editions. Epic seems to be increasingly aggressive at snatching these 'exclusives'. In other news we covered this morning there are indications that Borderlands 3 will be an Epic Games Store exclusive - and who can blame developers with the more generous slice of profits available. Epic has signalled that these exclusivity deals are only to get its store established and are not part of its long-term strategy.